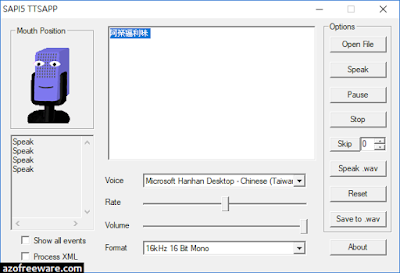 Ekho (余音) is a multilingual text-to-speech (TTS) software. It supports Cantonese (Chinese dialect spoken in Hong Kong and part of Guangdong province), Mandarin (standard Chinese), Zhaoan Hakka (a dialect in Taiwan), Tibetan, Ngangien (an ancient Chinese before Yuan Dynasty) and Korean (in trial). It can also speak English through Festival.